Fraud is an epidemic. It is a scourge of the information age. It is a cancer that spreads and then spreads more rapidly as it grows. I took a long hard look at fraud trends across the world, and I determined it isn’t very good. In fact it’s bad and only projected to get worse. Everyone, everywhere is reporting higher fraud losses now than they have any other time in history. 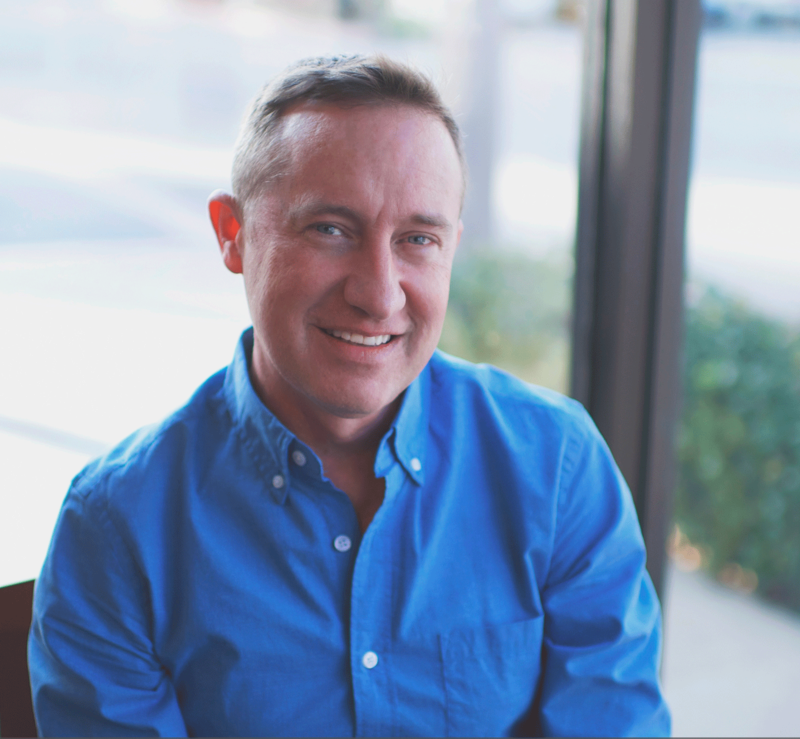 Sure there are some fraud schemes like mortgage fraud that have experienced some drop off in recent years but pretty much across the board, fraud is up in a big way. I hate to say it. I’ve spent my life working on fraud management. I thought we were making progress stopping fraud. But really, we’re just barely keeping up with fraud and in some respects losing the battle. In spite of our best efforts, fraud is more damaging, more complex and higher than at any point in history. It’s not really just my opinion either. Just look at the fraud reports. They paint the real picture. Card fraud is growing 20% year over year. Wire Fraud schemes make the news everyday now and are up over 270% year over year. Auto Lending fraud is increasing rapidly, as loan quality is eroding with the growth of subprime lending. Identity Theft Fraud is spiking with the FTC reporting 100% year over year growth. 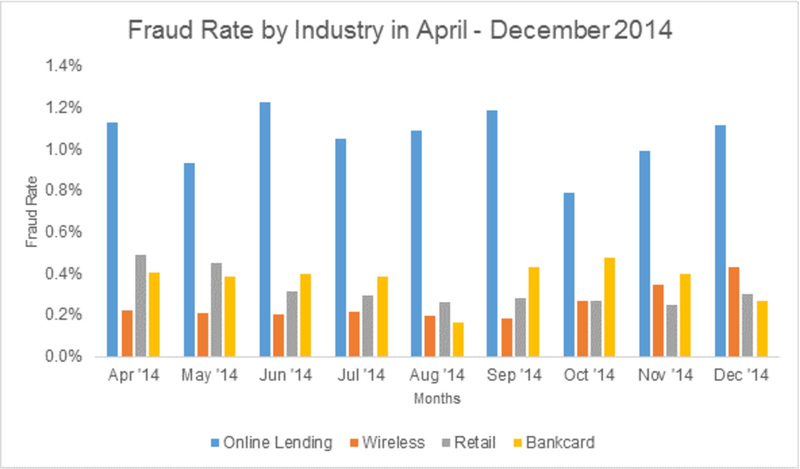 New Account Fraud is up another 10% since EMV was launched in October. Account Takeover Fraud is everywhere now fueling all the fraud types. Older fraud types such as Check Fraud are spiking here in the US as well thanks to Mobile Deposit and Duplicate presentment. And finally, new schemes like IRS Tax Fraud are rapidly gaining momentum and hitting large swaths of US taxpayers now. In fact, when I researched, I would only able to find 2 types of fraud that are reporting flat or declining losses (counterfeit card fraud and mortgage fraud). There might be others but declining fraud is the exception not the rule. If you work in a bank, a lender, a financial company or other service provider and you have managed to keep your fraud losses stable or better yet reduced them you are doing something great and I tip my hat to you for a job well done. Because you are doing it in the midst of the perfect storm of fraud. Anyway, here are 5 Reasons why I think fraud is worse now than ever and why I think it’s only going to get even worse. The biggest indicator that fraud is worse than ever is Card Fraud. Card Fraud unlike many other types of fraud is one of the most consistently reported types of fraud across all regions of the world. The associations like Visa and MasterCard mandate fraud reporting as part of their rules of operation so it’s a very reliable source of data. And the numbers don’t look good. The Nilson Report indicates that card fraud losses are at their highest reported level in history – Over $16 Billion annually, and that number is expected to grow to over $35 Billion by 2020. Think of that. Card related losses are expected to double again in only the next 3 years. 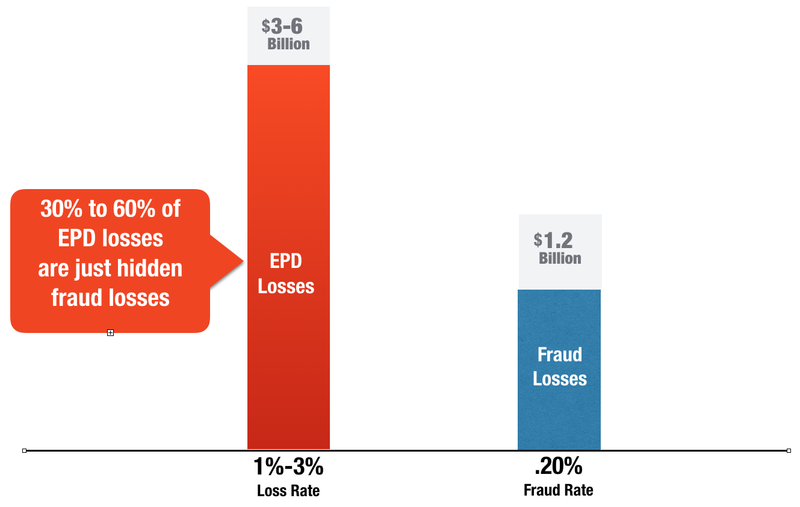 Fraud Loss rates are far outpacing growth. For example, last year fraud grew at 19% while volume grew a more modest 15%. 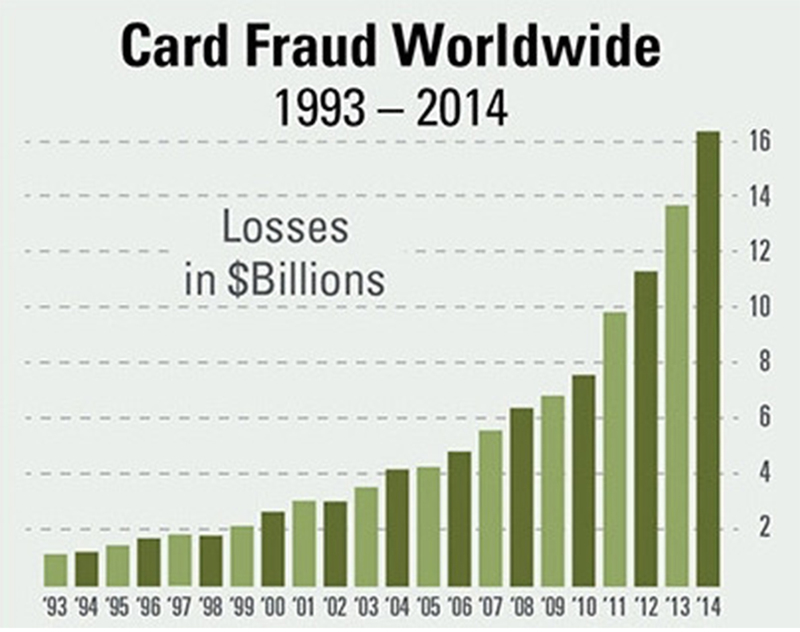 Nilson Reports Show the Dramatic Rise of Card Fraud. And FICO is reporting big spikes in Card Fraud as well. You can check out their interactive fraud map which shows that countries like the UK saw spikes of 18% last year – Check out the Interactive Map Here. 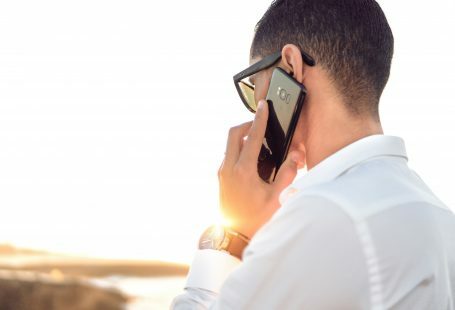 I reported on Wire Fraud a few weeks ago, you can read my report here – Wire Fraud Losses This one has got me very worried. The thing that I am most worried about is the fact that the FBI seems to be the only group that has factual numbers about it. Remember the last time that was the case? It was with the mortgage fraud crisis of 2007. The only group that was raising the warning flag was the FBI and they were right. I fear they are spot on again with this one. The other alarming issue with Wire Fraud is seemingly everyone is getting burned by it. Heck even our business almost fell victim to this attack recently. The payback to fraudsters of Wire Fraud is so lucrative that they are all being pushed into this scheme. I think Wire Fraud is a $50 Billion annual problem across the world, making it 3 times higher than even credit card fraud. One indication that fraud is bad is the frequency of new and emerging fraud schemes. One area that really surprises me is the growth and frequency of Identity Theft fraud schemes. I had always assumed that Identity Theft was well covered. 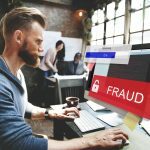 The only issue is that Identity Fraud is so lucrative that the fraudsters have reinvented their techniques and doubled down on their efforts. The result of these efforts? A 113% increase in new account fraud as reported by Javelin research. New Account fraud, according to their study now represents 20% of all reported fraud losses. To make matters worse they are reporting that new account fraud losses will continue to climb another 41% each year. New Account fraud is already up an additional 10% since EMV went live in the US last October. And don’t forget about IRS Tax Fraud. Never heard of it? Here is a little primer on it in this article – IRS Tax Return Fraud. Since 2013, IRS Tax return fraud has soared and the government has been paying billions in fraudulent tax returns. To make matters worse, close to 1 billion tax returns were breached in the last couple of years. The fraudsters were stealing the tax returns so that they could bypass new fraud models that the IRS had installed in 2014 to identify fraudulent returns. By having the old returns, the fraudsters could make the fake returns the following year appear more legitimate. Even though the IRS was able to detect 80% of the fraudulent returns, they still paid out over $5 billion to the fraudsters. This just shows how lucrative the scheme is. Online Lending is booming and it is a hotbed of fraud. 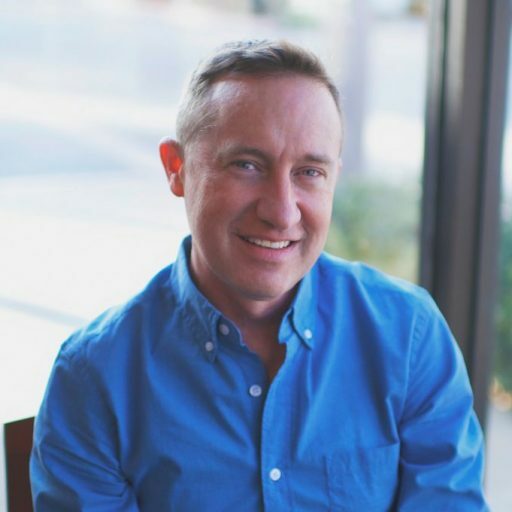 Here is a great report that you can read from my friend from ID Analytics – where they describe just how much fraud they are seeing in Online Lending – Surprising Online Fraud Insights. ID Analytics reports the fraud rate of over 1.2% for Online Lenders which makes it the single highest industry for fraud they have benchmarked. So why is this a problem? Well it’s a problem because Online Lending is growing by over 100% a year and by 2020 it will be a 300 billion dollar industry. Not only is the fraud rate high, but the tremendous growth means that we are just in the infancy stages of some serious lending fraud. And I won’t even get into Auto Lending Fraud which I think is the next shoe to drop. PointPredictive (my company) has done analysis which suggest that losses are much higher than anyone even thinks. You can read that here – Auto Lending Fraud Losses in US Are Billions. Finally, Faster Payments. There are initiatives in just about every country in the world to increase the speed that consumers can get access to their money. Accenture has a neat little graph that shows just how prevalent faster payment initiatives are. Over 30 countries are building systems to send instant or near real time payments. 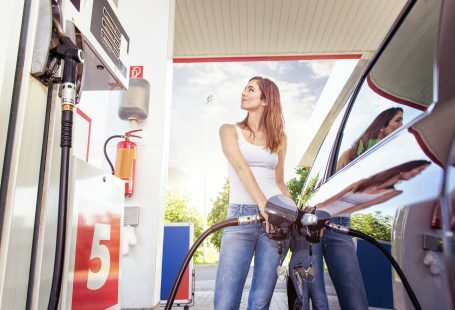 These initiatives are great for consumers. These initiatives are also great for fraudsters. And that is why I believe that Faster Payments will fuel the next great global fraud crisis in the next 3-5 years. 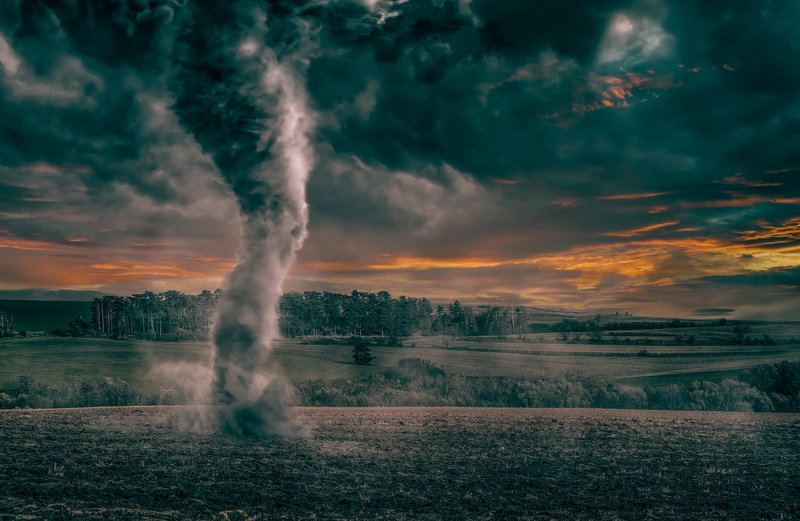 Faster Payments can spell disaster for banks, consumers and other industries. Just look at what happened to UK Online Banking Fraud Rates the month after they initiated Faster Payments. This is a chart from the Financial Fraud Action Committee. 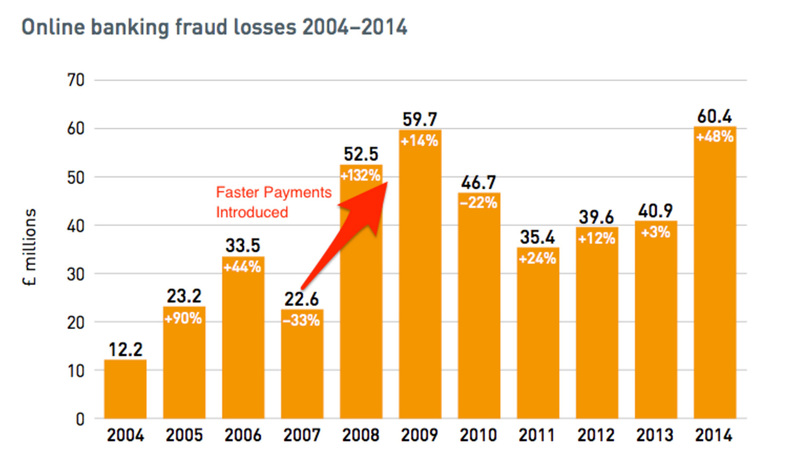 Fraud losses doubled immediately after Faster Payments was implemented. And even with Fraud Controls the losses have never come back down. These 5 reasons of course are only the big ones. There are other factors at play that will make fraud that is taking place today appear to be child’s play in the years to come. Fraud is growing in complexity and speed. 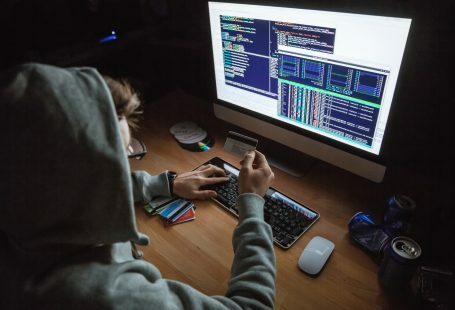 Hacking is becoming more commonplace. And data is proliferating at unprecedented levels. These factors will drive fraud to higher and higher fraud levels. If you are in the fraud prevention industry. Hang tight because it’s going to be a wild ride. I can’t even imagine the level of fraud that we will see in the next 10 years. There are new channels for fraud that we don’t even know will exist yet. Thanks for reading. What do you think? Do you think I am overblowing the situation or do you feel like me that we have a real problem on our hands? Great article. What’s to argue. The numbers speak for themselves. We are observing the same trends with our customers. To me what is most concerning is that these schemes are becoming much more sophisticated and much more organized. We are observing unabashed constant ‘testing’ with no fear of reprisal. They are applying for credit with stolen identities across multiple channels at a dizzying pace. On the account takeover side, they are morphing their schemes to not only do the traditional things like change the address on the account. They are changing phones, changing emails, and signing up for online banking. The simple controls that used to work are no longer sufficient. And yes – I believe a lot of this has to do with the proliferation of data breaches and ability to attack from anywhere. While I think you are right that we currently may be losing, I also believe that we can and will catch back up.